This is Madelyn. She is 11 years old and was diagnosed at the age of 9 with Leukemia. While still fighting her fight, she wanted to do something to give back to the community that rallied around her and her family when they needed it most. She LOVES to bake and has been lucky enough to team up with owner, Jess from Cake That in Manahawkin to do just that. 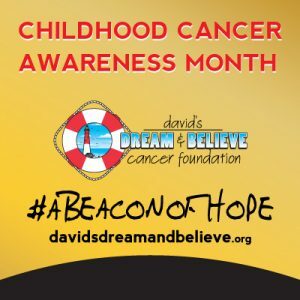 For every “Golden Salted Caramel” cupcake that is sold in the month of September, $1 will be donated to David’s Dream & Believe Cancer Foundation, who in turn will donate 100% of the proceeds to a local child diagnosed with cancer. 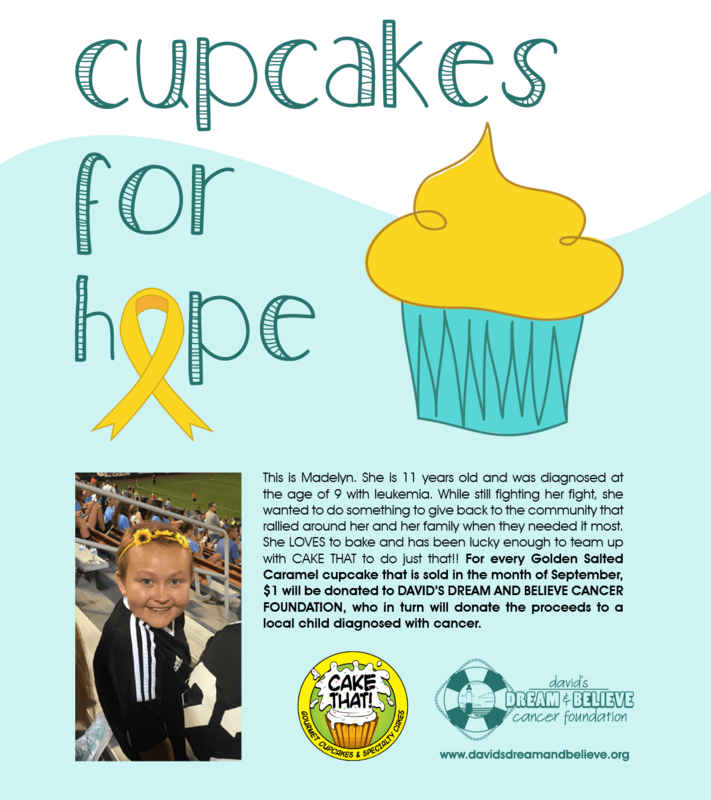 A special thank you to our amazing 11 year old Madelyn, who inspires and motivates all of us on a daily basis. Thank you to Maddy’s mom Vicki, Jess from Cake that and Dawn Simon from Swing Graphics for all your support to make this fundraiser and Childhood Cancer Awareness campaign possible!